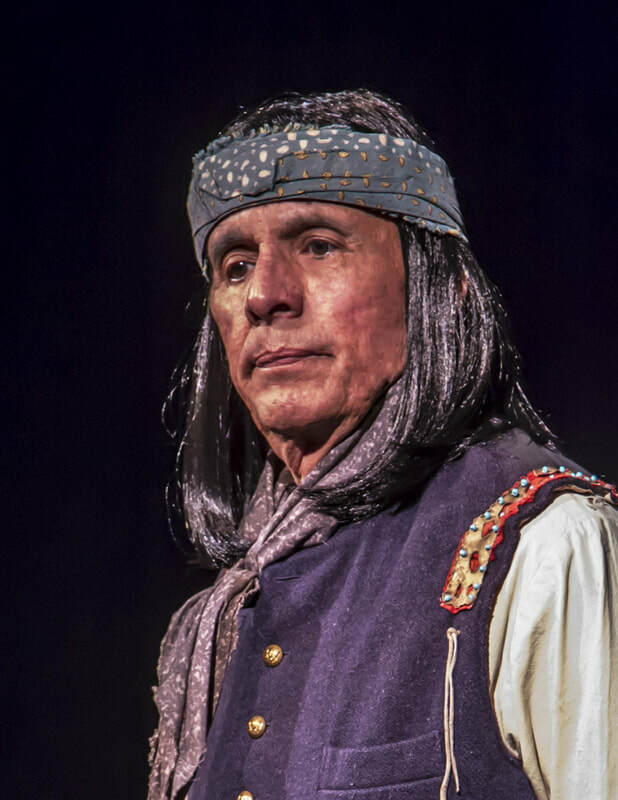 The critically acclaimed, seldom told story of Geronimo’s life as a POW on the Fort Sill Indian Reservation. 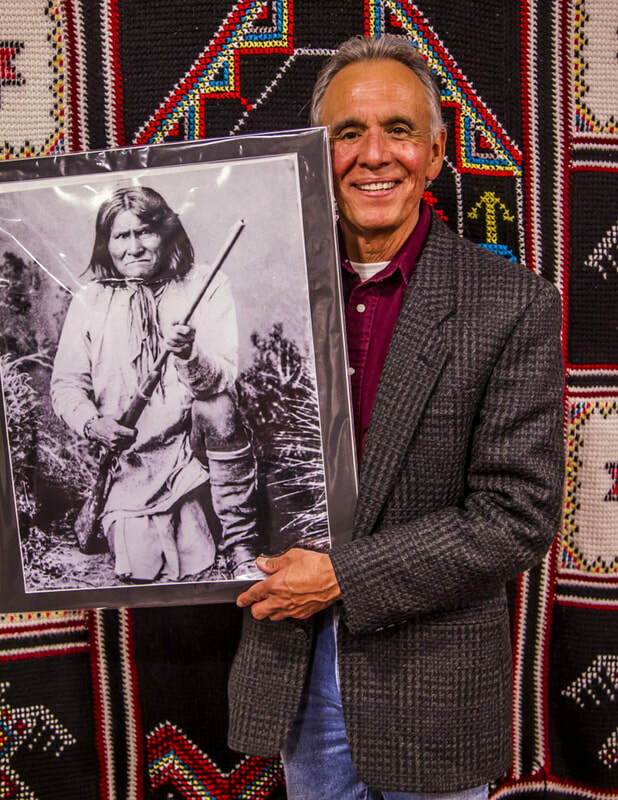 Starring veteran performer Rudy Ramos (Yellowstone, Ironsides, The High Chaparral, Dr. Quinn, Medicine Woman: The Movie, The Enforcer, Defiance, Colors), helmed by respected actor/director Steve Railsback (The Visitors – dir. Elia Kazan; Helter Skelter, From Here to Eternity, The X-Files), and written by award-winning novelist Janelle Meraz Hooper (As Brown As I Want: The Indianhead Diaries, Custer and His Naked Ladies), GERONIMO focuses on the resiliency, humor, and genius of the great Apache leader, bringing his final years to life on the stage in a dramatic recounting of a fascinating, largely forgotten chapter in American history. For further information, please visit the GERONIMO website. The acting career of Rudy Ramos spans six decades, starting with an appearance on the television show Ironside in 1969. Six months later he was cast as a series regular in the part of Wind, the volatile half-breed Indian boy in the legendary television western The High Chaparral. Since then he has made over 60 guest appearance on episodic television including recurring roles on the hit television show Hunter in 1987-1988 and Resurrection Boulevard in 2002-2003. Mr. Ramos has done numerous movies for television including the ground breaking Helter Skelter (100 million viewers over two nights) playing the part of Danny DeCarlo, Everybody’s Baby: The Rescue of Jessica McClure, and Dr. Quinn, Medicine Woman: The Movie as the villainous Captain Ruiz, and he is currently featured in the acclaimed new TV series Yellowstone. Feature film credits include The Enforcer with Clint Eastwood, Walter Hill’s classic The Driver with Ryan O’Neal and Academy Award nominee French actress Isabelle Adjani, Defiance with Jan-Michael Vincent and Art Carney, Quicksilver with Kevin Bacon and Laurence Fishburne, Colors with Sean Penn and Robert Duvall and the 2001 sleeper Road Dogz directed by Alfredo Ramos, to name a few. 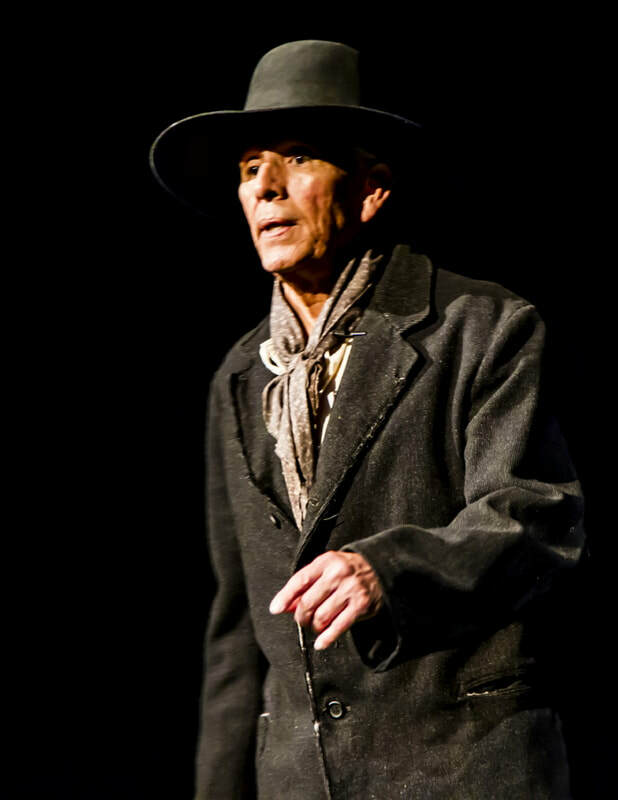 The stage has been a big part of Mr. Ramos’ life with appearances in the Los Angeles area at the Mark Taper Forum, Taper Too, The Met, Matrix Theater, Los Angeles Theatre Center, and Nosotros Theatre. As a member of the Los Angeles Actors Theatre he performed in the award-winning hit show Short Eyes by Miguel Pinero playing the part of Cupcakes. The ensemble won the 1977 Los Angeles Drama Critics Award for Best Ensemble. Steve Railsback (director) made his film debut in The Visitors, directed by Elia Kazan. He played the parts of two notorious murderers, appearing as Charles Manson in the 1976 television mini-series Helter Skelter and as Ed Gein in the 2000 film Ed Gein, In the Light of the Moon. In 1979 he played Pvt. Robert E. Lee Prewitt in From Here to Eternity with Natalie Wood. In 1980 his performance in The Stuntman with Peter O’Toole garnered him a Golden Globe nomination for Best Actor. He won that honor at the Dallas Film Festival. His work includes memorable roles in Tobe Hooper’s Lifeforce as Col. Tom Carlsen and as Duane Barry in two of the most popular episodes of The X-Files, the two-part Duane Barry and Ascension. With over 79 titles in his filmography, Steve has served as inspiration to actors and directors alike.